I’ve always wanted to say my home was Smart. Now I can! 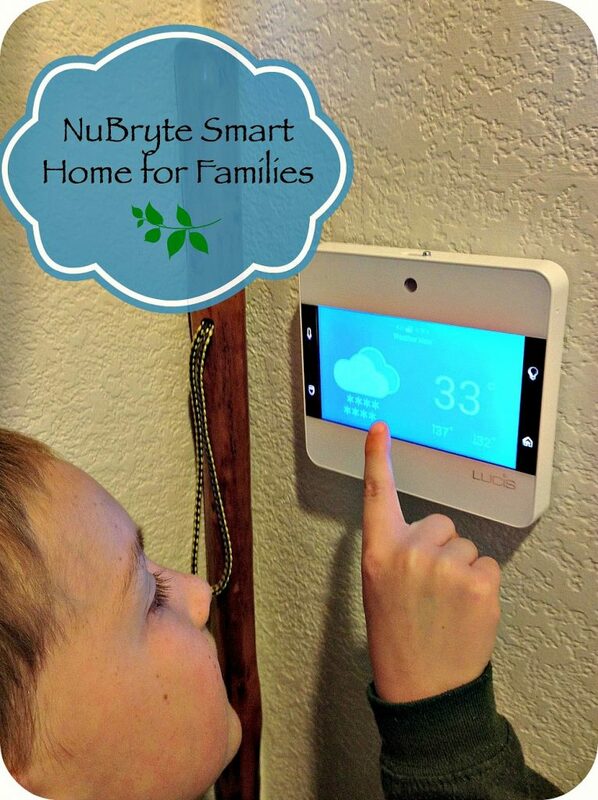 Let me tell you about the NuBryte smart home management system that does all kind of neat things to make our life easier, safer, and even more eco-friendly. An affordable way for any family to add a little technology to their house. You’ll find it’s even kind of fun! Who likes techy gear most in our house? The kids! Well maybe it is Hubby. They have all been active in setting our new system up and keeping track of all its multi-functioning settings. Just pressing the buttons on the smart technology screen feels futuristic and fun! Let me share with you all the cool features of the NuBryte and you’ll soon want one too. Control everything from your phone app – no matter where you are in the world! Stop yelling up and down the stairs – use the wi-fi home intercom if you have 2+ consoles. Family calendar – everyone can contribute and keep track of your busy life in one place. Weather – with a glance you can see the outside temp, hourly weather, and even the 5-day forecast. Built in camera and motion detector for home security. 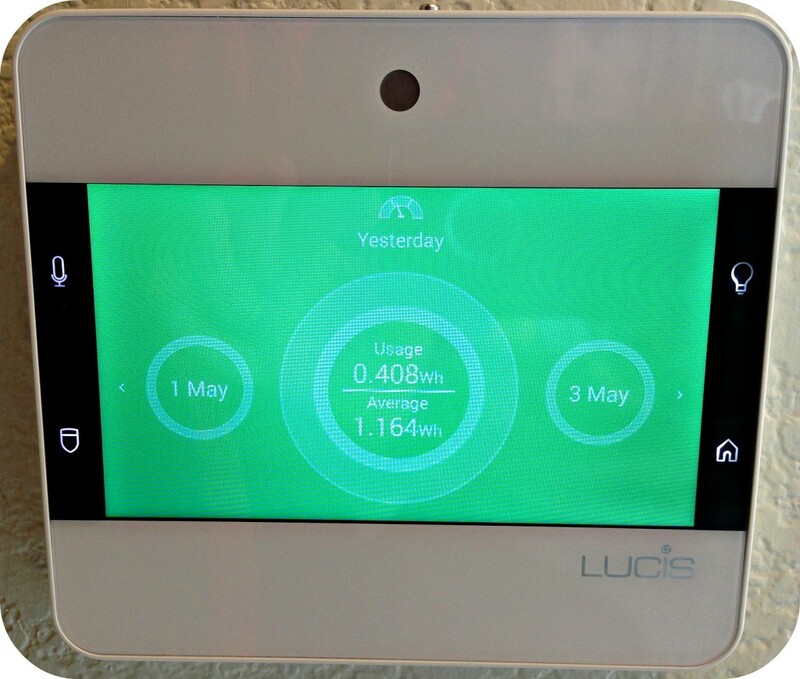 Our NuBryte is right by the front door which gives us instant notification if something is wrong. You can set the alarm, have flashing lights and the video of who is coming in will go right to your phone. Pretty neat! Smart lighting. Not only can you schedule the lights to go on or off at the correct hour (great for when you are on vacation! ), but you can set them to start dimming at certain times, whether you are getting ready for bed in the evening or waking up before dawn. My favorite feature of the whole device is the motion detector. Lights go on and off as you come in and leave the room (and perfect for a hall night light!). You’re going to love this! The NuBryte has energy monitoring and tells you exactly what your daily lighting usage is and how much energy your family is using. You can flip back and forth between days and I can really tell the difference between the weekday and the weekend when everyone is home. Figure out how to save – energy and money! There is no monthly service fee. I bet you didn’t expect that! NuBryte is found on Amazon for $199 for a 1-switch light plate. They have all kinds of things in the works to keep making the smart home system better and better. Does your family need a Smart Home Management System? Enter NuBryte’s month long giveaway! I partnered with NuBryte for this sponsored post and they are in charge of the giveaway. All opinions are my own. Links may be affiliate. Global Resort Homes is THE place to stay! The Android app has just been released for the NuBryte!